TOREX Retail Limited is the leading provider of software solutions to medium and large retail multiples in the fashion, food, speciality retail, leisure and hospitality sectors. It offers a comprehensive range of services covering consultancy through to installation, support and nationwide maintenance. TOREX Retail's blue chip customer base includes Argos, ICL, Hamleys, Littlewoods, Matalan, Selfridges, Shell & Tesco. 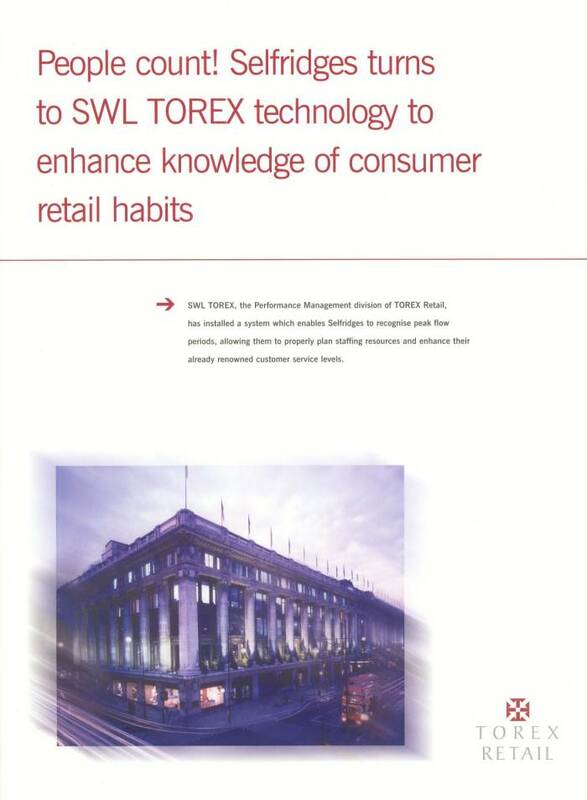 As part of its ongoing strategy to promote TOREX Retail's capabilities and increase market place confidence, Metropolis 2 has created a number of case study brochures. These form an integral part of TOREX's marketing strategy to existing and potential clients. Metropolis 2's creative team begins with a full brief from TOREX Retail. Each case study identifies an innovative or groundbreaking feature of the software solution. Through face-to-face or telephone interviews, Metropolis 2 gains the client's perspective of the contract. In particular we look to identify key areas of the client's business, which have been radically improved as a result of their relationship with TOREX. An initial draft of the case study is submitted to both parties for approval and supporting images for the case study are obtained. The creative team at Metropolis 2 designs the case study and submits for final approval by both TOREX Retail and its client before the brochure is printed. Metropolis 2 produces on average one printed case study per month for TOREX Retail and has covered strategic contract wins across its Retail, Hospitality, Leisure, Logistics and Performance Management divisions. The brochures have been successfully distributed in direct mail campaigns, at industry trade shows and during presentations to potential clients. Such has been their success that a number are already in their second re-print, whilst others have been converted into electronic format for use at large venue sales meetings.